As a parent to toddlers, you know that the years of transition from infant to preschooler are filled with joy and frustration. The joys of showing your children the glories of nature and the wonders of city life can be dampened by the frustration of tired legs and little ones that dash off into crowds or underbrush. Strollers can be a hassle to maneuver in cities and nearly impossible to use on many hikes. 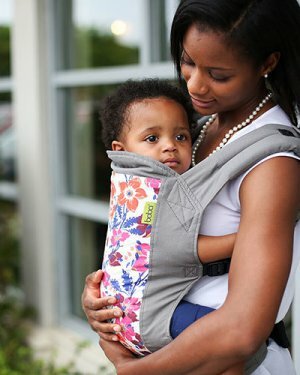 Carrying your kids wears out your arms, and many child carriers seemed designed to cause pain and have very low weight thresholds. Once a child reaches a certain weight, many child carriers are useless. This specially-designed child carrier allows children to be in a standing position, as opposed to a seated one, with legs around the body and their view blocked by the parent. They have no view and can get restless. 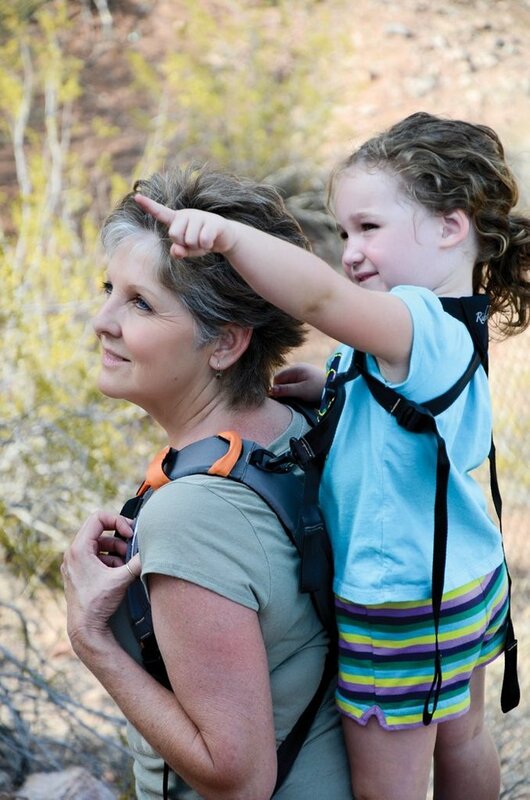 The Piggyback Rider is designed for children up to 60 lbs (27kg). 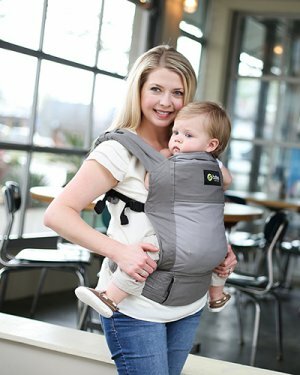 It is perfect for those middle years from about two and a half up to the age they reach 60 lbs. 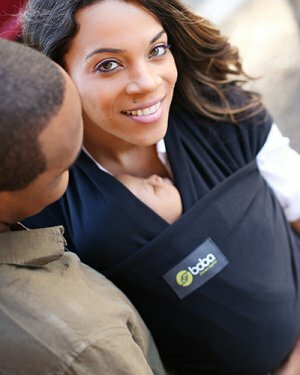 It is designed to be flexible, and the weight of the child is distributed between your shoulders and your hips. Both the parent and the child wear safety harnesses and the child’s harness clips to the adult’s for safety. The child stands on the bar with their feet on either side of the parent for foot and back comfort. Because of the simple design of the Piggyback Rider, it doesn’t take up a lot of room, making it the best child carrier for traveling. It won’t take up tons of space in the car or suitcase. The Piggyback Rider will be the last piece of child-carrying equipment you’ll need to buy, unless you love it so much you give it as gifts!